What are the differences between the main religions? Why are we here in this world? 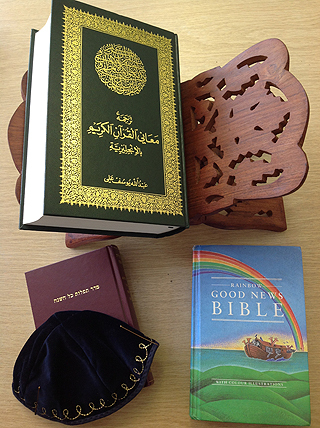 We enable each child to develop a sound knowledge of Christianity and other world religions. 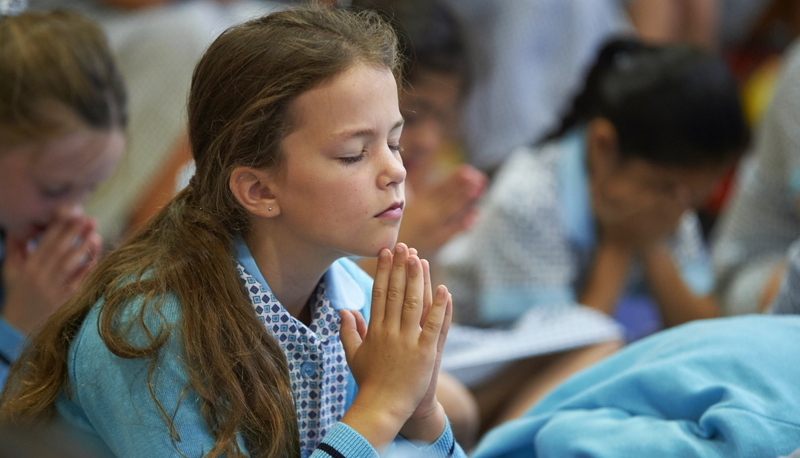 Children reflect on what it means to have a faith and to develop their own spiritual knowledge and understanding. We help the children learn from religions as well as about religions. We address fundamental questions concerning the meaning of life and the existence of a divine spirit. Religious education is taught as an independent subject from Year 1 and normally by a subject specialist from Year 3. Girls are encouraged to make judgments about religion in a variety of exciting ways through stimulating discussions and debates. They enjoy opportunities to visit places of worship. These have included Woodham Church, Shah Jahan Mosque and the Hindu Temple in Slough. Our whole-school assemblies are broadly Christian, exploring themes such as kindness, caring for others, using our talents and looking after the world around us. These topics are discussed through stories, talks, prayers and singing songs.